Another blast from the past?! 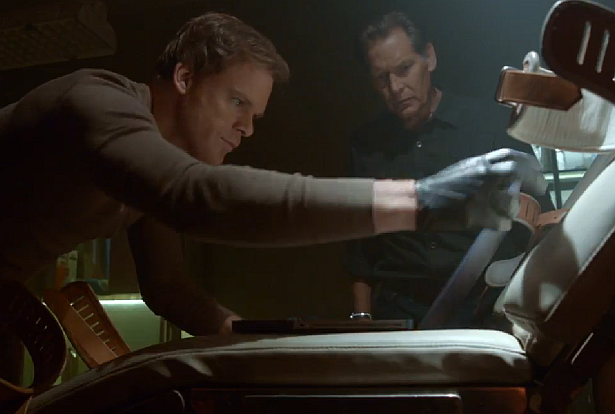 Check out after the jump a pretty big spoiler about two characters from the Dexter 'Look Ahead 3' promo which was released earlier today from Showtime. Read at your own risk. 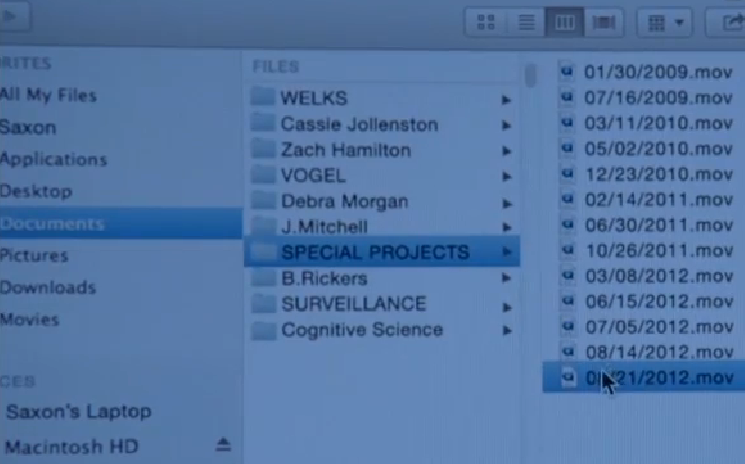 Apparently Dexter manages to have access to Saxon's computer. If you pause the promo at 0:19 you'll see the names of some of Saxon's victims. Among the names of Cassie and Zach we also see Deb's name (!!!) such as J. Mitchell's name. Yes, J. Mitchell is obviously Jonah Mitchell, Trinity's son. 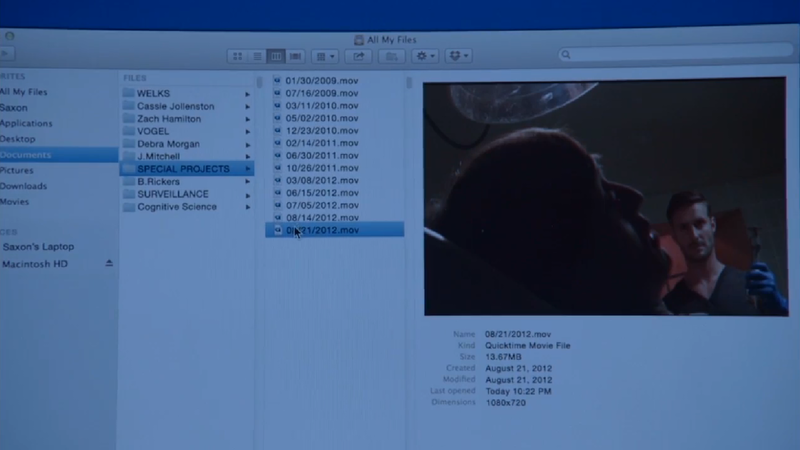 What does that mean for Debra? Will Jonah return? Share your theories and predictions in the comments section!